Russia will also transfer the technology on the production techniques of the specialised tank ammunition to India’s Ordnance Factory Board, according to an Indian media report. 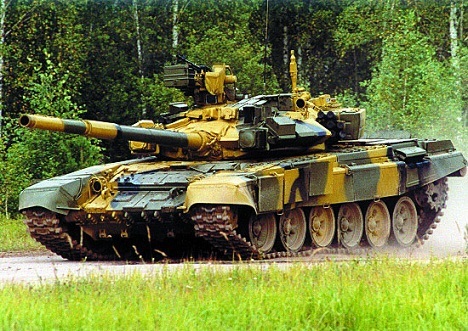 As it looks to meet the shortfall of critical ammunition faced by its armoured fleet including the latest T-90 tanks, India is planning to buy 66,000 Mango anti-tank shells from Russia, PTI said on Tuesday. Citing Indian Defence Ministry sources, the news agency said the Cabinet Committee on Security headed by the Prime Minister recently cleared a proposal to acquire the tank shells from Russia and the deal in this regard would be signed in the next few days. Russia will also transfer the technology on the production techniques of the specialised tank ammunition to India’s Ordnance Factory Board, which will produce it indigenously, the sources told the news agency. The report, which was carried by The Indian Express said that the Indian Defence Ministry decided to form JVs with the Russian manufacturers since India faced a shortage of weapon systems. A similar procedure was followed for the rockets for the Smerch multi-barrel rocket launcher systems. India’s severe shortage of tank ammunition was first highlighted by former Army Chief Gen V K Singh in a top secret letter to Prime Minister Manmohan Singh this month, PTI said adding that the general said that only three to four days of this particular ammunition was left in the inventory of the armoured regiments. India’s defence purchases have more or less been put on hold till the country’s general elections are held in April and May, but this deal is seen as essential for national security. In January, India’s Ministry of Finance had refused to allocate an additional 80 billion rupees ($1.3 billion) to the armed forces to cover the costs associated with rising fuel prices and paying salaries to servicemen. The Ministry of Defense recommended that these costs be covered with funds that had been earmarked for purchasing weapons.